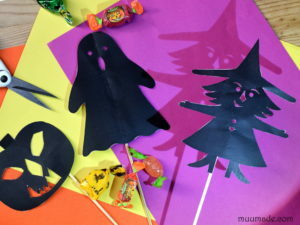 The Luna the witch is ready for Halloween! 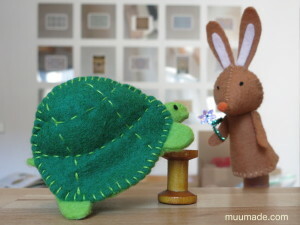 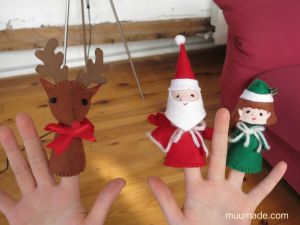 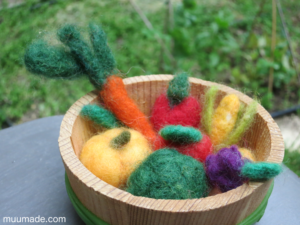 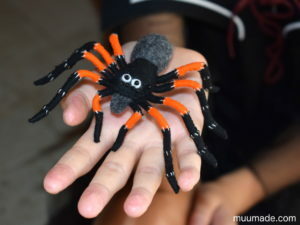 She is a finger puppet, but she also makes a very cute decorative piece. 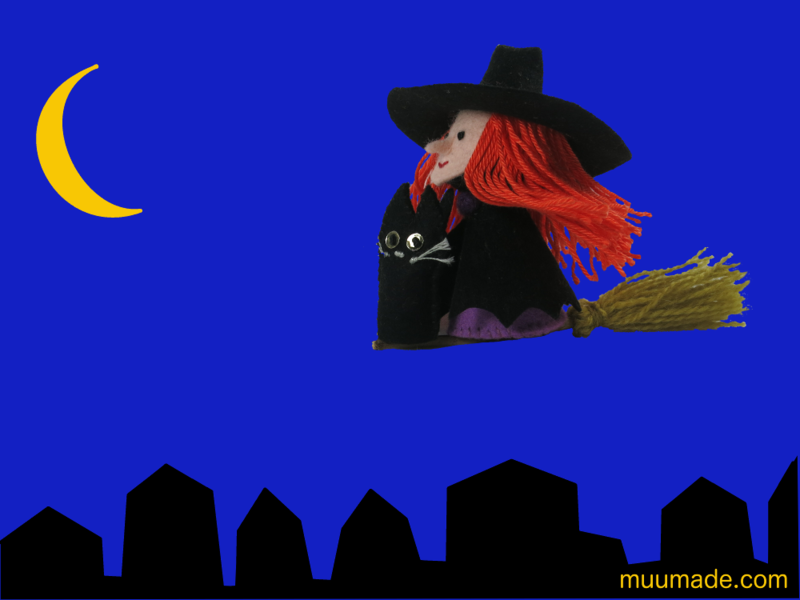 She loves to fly on her magical broom on the darkest of nights. 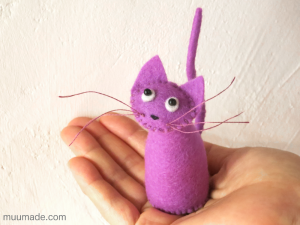 There she goes, zooming by! 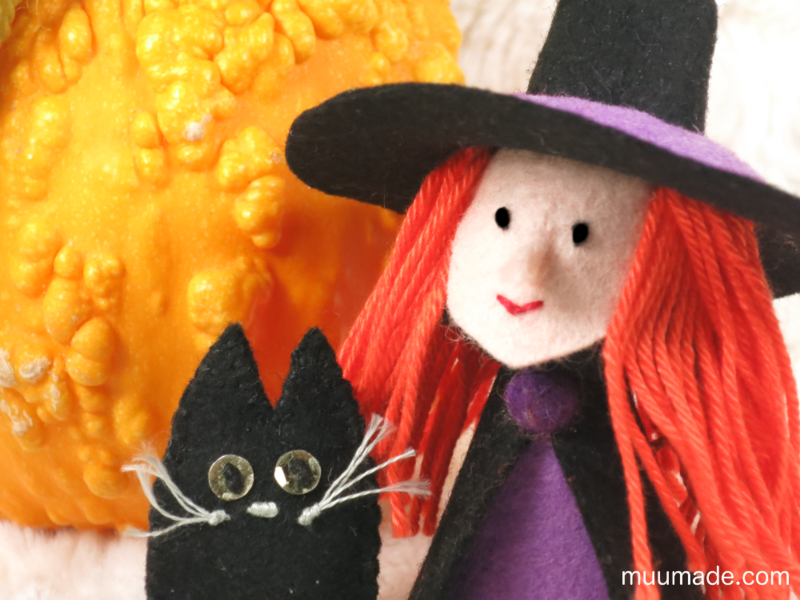 Because Luna is inseparable from Sombra and her magical broom, Luna the Halloween Witch sewing pattern also includes instructions to make the cat and the broom. 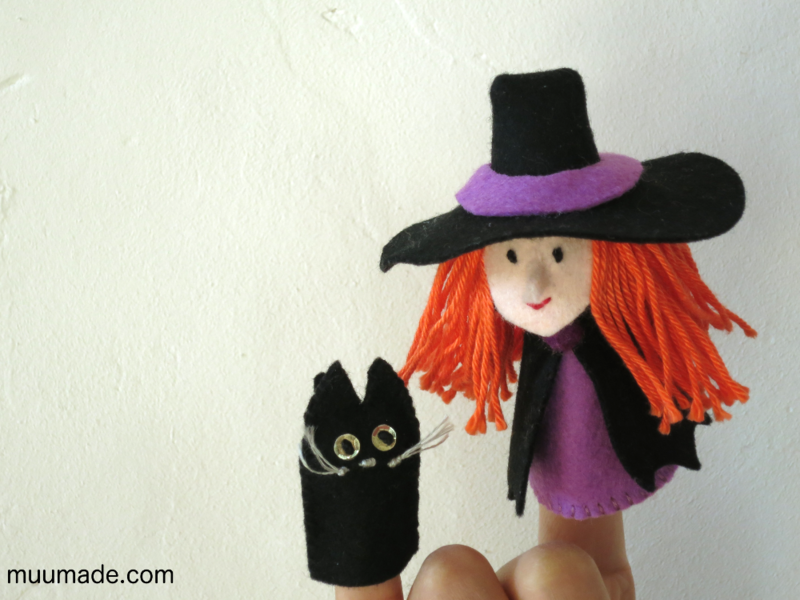 So at the end of this sewing project, you will have made a witch finger puppet, a cat finger puppet and a tiny broom!